Political responsibility for the agency lies with the Minister of State Security; as of 2014 this is David Mahlobo. The agency is headed by a Director-General; as of 2016 this is Arthur Fraser. In the 2010/11 national budget, the secret services received a total transfer of 3,052.2 million rand. For the 2015/16 national budget, the secret services will received a total transfer of 4,308.3 million rand. The focus on state security is significant and is best understood in the context of the evolution of South African politics since 1961. During the Vorster Regime, state security was seen to be paramount by virtue of the fact that the state was the referent object simply because it represented an ethnic minority and was thus contested. The referent object is that which needs to be secured. This gave rise to the Bureau of State Security (BOSS), which came to an end after the Info Scandal involving the use of secret funds and covert capabilities to manipulate public opinion via the media. Emerging from this was the PW Botha regime, which saw the rise of the State Security Council as the premier decision-making organ. This was hawkish and favored the military. The emergence of paramilitary police units was a direct result of this. While this process was unfolding, the National Intelligence Service (NIS) was created but remained in the shadow under the leadership of Dr Niel Barnard. Central to the creation of the NIS was the burning question about what the referent object is and how it should be secured. Within the NIS the view was that the only way to secure the state was to create a legitimate government representative of the majority of the citizens. This discourse was known as "National Security" and the focus of security was the nation. The idea being that if the nation is secured, then a legitimate government would emerge so state security would become irrelevant as a concept. When the FW de Klerk Regime took over, it inherited a security force in crisis arising from the actions of the paramilitary police. This created space for the National Security discourse to take its rightful place in underpinning the transition to democracy by creating the climate for negotiations to end the Armed Struggle. This saw the concept of "national security" dominate the intelligence community, at least during the transition to democracy and the decade thereafter. It was only when the state started to perceive that it was under threat, that the old thinking about "state security" again emerged. This drove the creation of the SSA (with the security of the state as its primary objective) out of the remnants of what had evolved from the NIS (with the security of the nation as its primary objective. ↑ "Intelligence body restructured". SAPA. 2 October 2009. Retrieved 3 September 2010. ↑ "State Security Agency restructuring going well – Cwele". SAPA. 2 June 2011. Retrieved 11 September 2011. ↑ "Executive decision: Zuma's new cabinet". Mail&Guardian. Retrieved 26 May 2014. ↑ "Vote 9: National Treasury" (PDF). Estimates of National Expenditure 2010. Pretoria: National Treasury. 17 February 2010. p. 157. ISBN 978-0-621-39079-7. Retrieved 30 August 2010. ↑ "Estimates of National Expenditure 2015" (PDF). National Treasury. 2015. p. 806. Retrieved 4 January 2016. ↑ "Mo appointment angers opposition parties". IOL. 2009-10-02. Retrieved 18 November 2013. ↑ "Cwele announces new appointments in intelligence". Mail&Guardian. Retrieved 27 October 2013. ↑ "Cwele announces new appointments in intelligence". Mail&Guardian. Retrieved 18 November 2013. ↑ Helfrich, Kim (26 August 2016). "Top State Security Agency post vacant and still no Intelligence Inspector General". defenceWeb. Retrieved 2 September 2016. ↑ Frankel, P.H. 1984. Pretoria’s Praetorians: Civil-Military Relations in South Africa. London: Cambridge University Press. ↑ Geldenhuys, D. 1984. The Diplomacy of Isolation: South African Foreign Policy Making. Johannesburg: Macmillan South Africa. ↑ Geldenhuys, D. 1982. The Destabilization Controversy: An Analysis of a High-Risk Foreign Policy Option for South Africa. In Politikon, Vol. 9. No. 2; 16-31. Reprinted as Geldenhuys, D. 1983. The Destabilization Controversy: An Analysis of a High-Risk Foreign Policy Option for South Africa. In Conflict Studies, No. 148; 11-26. In Gutteridge, W. (Ed.) 1995. 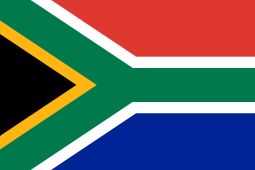 South Africa: From Apartheid to National Unity, 1981–1994. Pp 42-57. Aldershot, Hants & Brookfield, V.T. : Dartmouth Publishing. ↑ Stiff, P. 2001. Warfare by Other Means: South Africa in the 1980’s and 1990’s. Alberton: Galago Publishers. ↑ NIS. 1994. National Intelligence Service: 1969–1994. Special Commemorative Book given to all serving officers of the National Intelligence Service. Pretoria: National Intelligence Service. ↑ CSIS. (Undated). De Klerk’s Relationship with the South African Intelligence Services. Commentary No. 15. Ottawa: Canadian Security Intelligence Service Internet Publication. Available online from https://fas.org/irp/world/rsa/com15e.htm.